Dinner tonight? It doesn’t get any easier than this Creamy Parmesan and Garlic Orzo. Cook up this one dish meal in under 30 minutes! Start with a package of orzo and then create the simple, creamy sauce. 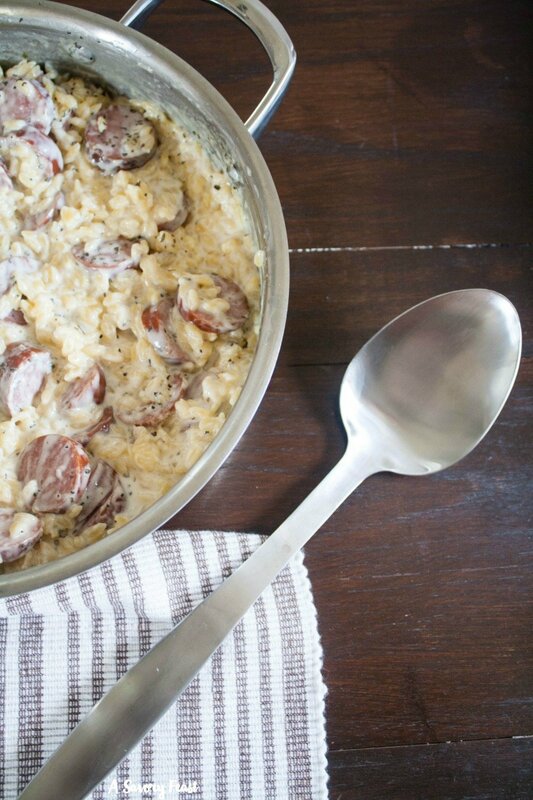 Add in the sausage and mix it all up for a delicious meal that your family will love.